The Ultimate Unicorn: Chii – Part 3: Chii goes on the ultimate trip, with Bonus Miku (Doll Profile #9) – How Do You Figure? 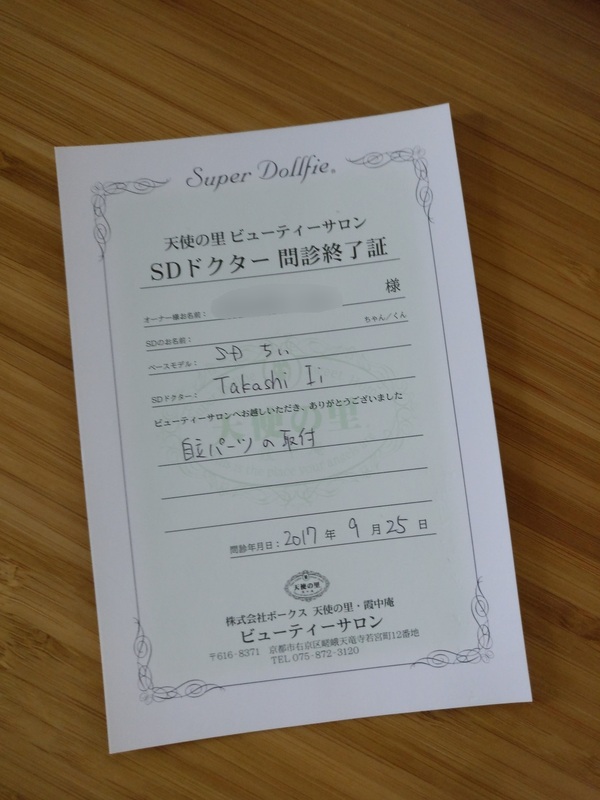 When I visited Japan, I knew Chii would have to be the one to go if I was going to visit the Tenshi-no-Sato. That meant traveling with a heavy, expensive, and potentially fragile resin doll in my luggage. She went into a hard shell carry-on luggage, wrapped in a towel. I wasn’t about to trust cargo handlers with a doll! Fortunately, she fit without an issue, and even had a little extra company on the return trip. 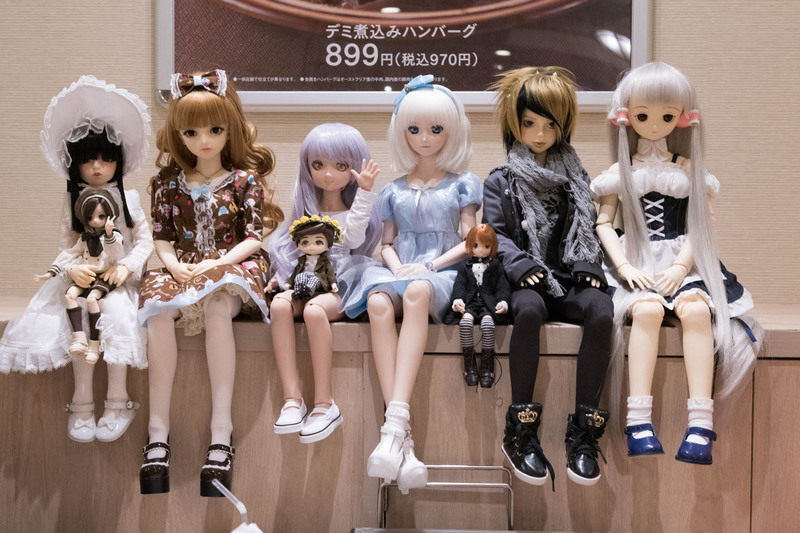 I had also planned a couple other doll-related outings when I was in Tokyo, including a small meetup with some people I had met on Den of Angels! It was a group of foreigners that were living in Japan, so we had no trouble communicating! I was the only one in the group that didn’t speak any Japanese, so it made for some interesting looks when we went to get a bite to eat. None of them had ever seen a Chii up close before, so it was a nice treat for them! Getting to the Tenshi-no-Sato took some planning. The location is only open on certain days during the week and generally requires a Volks Japan membership card to enter. Unfortunately Volks Membership is only available to Japanese residents, so foreigners need to make special arrangements. Fortunately, the Volks Japan web site has instructions for you on how to request special one-day passes! Just send them an email, tell them the day you would like to visit, and they will have you set up in their system! Unfortunately, they don’t have a lot of staff on hand who can speak English (on the day I visited, there was only one person), but getting around inside the facility wasn’t very difficult. 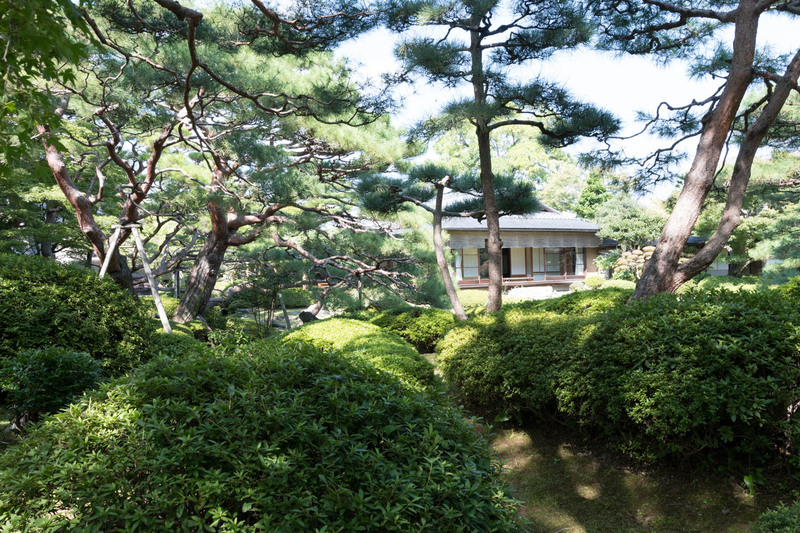 Although my home base was in Tokyo, Kyoto was an easy day trip by Shinkansen. It’s only a 2.5 hour train ride on the limited express! I packed Chii, my camera, and my laptop into my backpack, bought a train ticket, and made the trek! I tried to time the arrival to get there just before Tenshi-no-Sato opened at 10am, but was still a little early. It gave me time to walk around the area though, which was pretty nice. As soon as you get out of the train station, there are signs directing you to the Volks location. It sends you around the block through a little neighborhood, it was very quaint and peaceful! The front of the building has plenty of signage letting you know what was behind the walls. Since they hadn’t opened yet, the massive sliding door was closed tight. All I could do was wait. 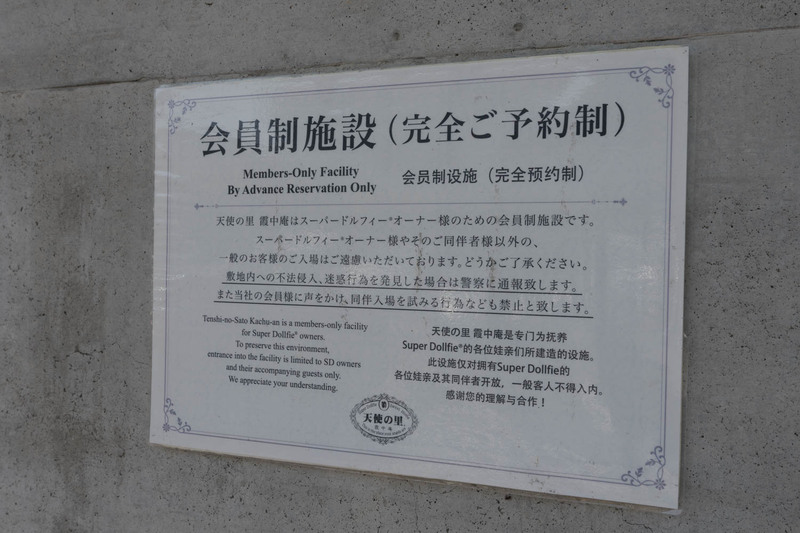 The plaque on the door was pretty clear about who can and cannot enter the facility, they’re pretty strict on the dolls that are allowed, Volks resin only! I also happened to be going during a special event! They had the entire building decorated with flowers, so all of the doll displays had an extra splash of color. There weren’t a lot of other visitors around that day, since it was a Monday. It felt like I had the place to myself! Unfortunately there were also strict rules for where you could take pictures inside the building. The museum area was completely off-limits to photography, meaning a shot of my Chii next to the one in the museum display wasn’t possible. I did think about it though, if they threw me out, it would have been totally worth it…. 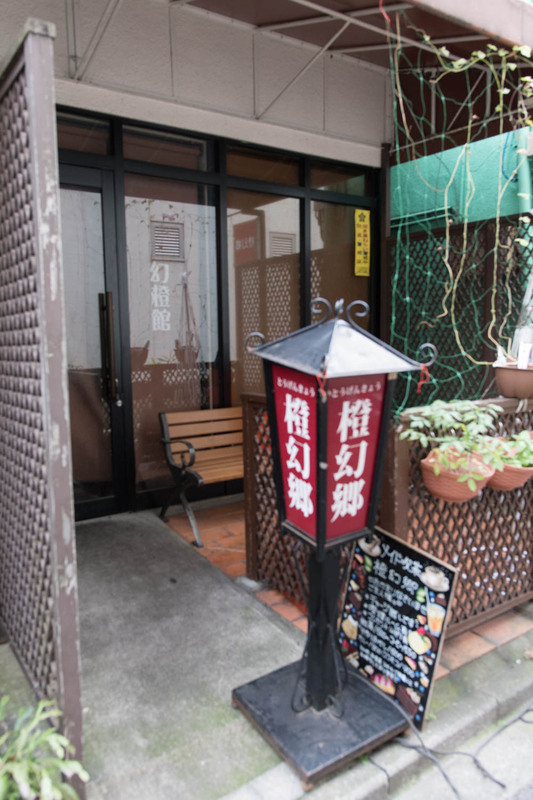 There was also a small cafe that you could get snacks at. On the day I went, they had a special tea and cake set for sale. The ticket for the set was even a small doll-sized menu. I’m wondering if I would have been allowed to take it with me… I didn’t chance it and left it there. I did grab the coaster though, I had to have some sort of memento of the visit! Last but not least, I did go to visit the Doll Doctor. Despite not speaking English, the person I talked with made a really strong effort to interact with me. It was one of the only times I’d ever seen a Japanese person try to use Google Translate to talk with me! I tried translating the menu of services with my phone, but eventually just went and talked with him. I was curious if they did sueding there so I fumbled through asking about adding leather parts in the joints. The staff member just looked at me and went “Ah! 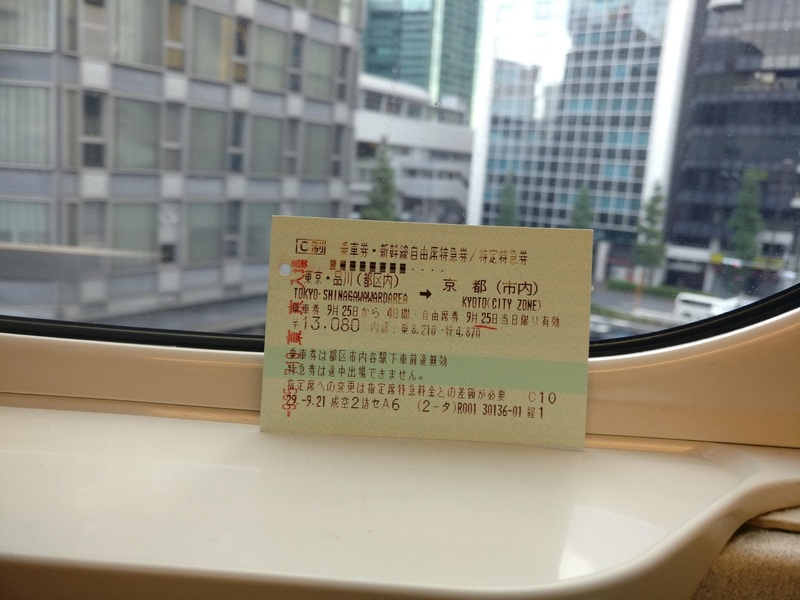 Sueding!” If only I knew it was that easy… It would take about an hour and a half for the service to be complete, so I dropped Chii off, hopped on a train and went to see the Miku exhibit that I also wanted to catch while I was in Kyoto. This example of Miku was done in collaboration with the Takashimaya Department store. They had done up this extremely formal kimono for her and had her on display for a couple weeks. I want this outfit! Back at the Tenshi-no-Sato, Chii was done! When I picked her up, she was still in a dismantled state. Apparently they wait for the owner to come back to inspect the parts before they restring and put her together. I also discovered that the doll doctor had fixed the foot I had broken and put her back to original specifications! I was really impressed! The other thing I didn’t expect was a little certificate to go with the service. It has my name, the model of the doll, who performed the service, and what was done. Another fun surprise, the person who worked on Chii this time was also the person who performed Belldandy’s Sato-Gaeri service several years before! Apparently Ii-san is one of the more friendly and popular doctors! After Kyoto, there was one more stop to make: the Volks store in Yokohama. On a past trip, my friends and I had a really good experience with the staff there. I decided that I would have to go back if I ever visited, so Chii got to see that location too! Overall the visit was a lot of fun. Having Chii with me was really awesome and a completely different experience from other trips I’d taken. I got a number of looks from the Volks staff, both in Kyoto and Yokohama! I had several staff members come up to me timidly to ask about Chii, since they likely hadn’t seen one outside of the museum before. It was incredibly cool! At the Yokohama store, I asked the clerk if I could use the photography space while she was making changes to another one. When I unpacked Chii, and started setting her up, she looked over and made a little gasp. She looked at me, pointed, and said “Chii-chan…?” It was so cute! I nodded, apologized for not speaking Japanese, and offered to let her hold Chii. She got super excited, put her gloves on (her hands were shaking!) and carefully took Chii from me. The look on her face was absolutely priceless! The whole experience looked like it made her day! The trip to Japan really sums up having such an interesting and rare doll like Chii. She’s meant to be taken out, played with, and shown off. She’ll make people smile and be a nice conversation starter for those who recognize the character. Dolls aren’t meant to be stuck in display cases or kept in a box! They need to be out and enjoyed, no matter how rare or expensive they are!